Route service businesses are exploding everywhere across the industrial marketplace and are considered to be integral to the maintenance of repeat business and healthy bottom lines for most businesses. 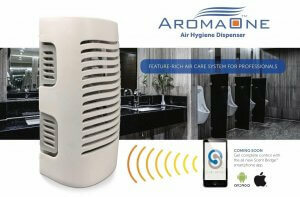 This is especially true with air freshener and odor-control products, which by their very nature provide a seamless addition to vending companies, delivery services, pest control, coffee and water services, janitorial, restroom hygiene, maid services, textile and uniform rental companies and a myriad of others. According to a recent report published by Allied Market Research, route service industries are expected to experience continuous higher growth for years to come. The customer always comes first. He or she might not always be right, but they always come first as far as Air-Scent’s customer service sector is concerned. This has been the company mantra all during Air-Scent’s seven decades of continuous service to its many loyal customers who are scattered all over the globe (learn more about our history here). As a route service distributor, you must strive to go beyond what is expected. To quote a Forbes Magazine contributor: “To over-deliver in service to a customer is by far the most valuable thing to a business. This is because there are only two ways to improve business operations: increase sales or decrease costs.” Good consumer service always results in more sales. 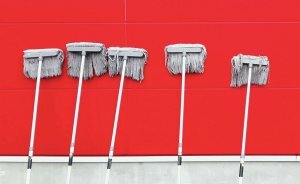 Amazon once said of their own website: “We have 6.2 million customers, we should have 6.2 million storefronts.” While this is, of course, not feasible, the idea that every customer is unique and requires customized attention is well within reach. Air-Scent’s skillful digital marketers understand the importance of emotions in the decision-making process and how to effectively guide traffic in the preferred direction. Route service distributors must choose their words carefully, focusing on the positive benefits of their products and how they can aid a potential client to improve that all-important bottom line. Understanding what customers want is the primary responsibility of an Air-Scent distributor. This involves not only realizing how a particular route add on service will efficiently fit into any enterprise, but also how well it suits the needs of a particular client. Listening to what consumers want and then explaining how Air-Scent’s odor-control products can improve their operations is an effective way to personalize every single transaction. Every consumer and every company has a unique background, one-of-a-kind personality, preferences, dislikes and a certain way of shopping for needed products and spending money. Insight into this type of information and behavior can help a distributor create loyal brand supporters. A company who does one thing and promises another has little chance of establishing a solid foothold with a stable customer base. Word-of-mouth is the most powerful ally any route service distributor can have in their entrepreneurial corner. What one satisfied or dissatisfied customer says to another can collectively enhance or ruin a business. A positive customer experience can translate into repeat clients, the development of brand recognition and loyalty plus an increase in profits. According to a Nielson study, 92% of consumers trust their friends and families, and are more likely to be influenced by their recommendations for any product or service than by any impersonal advertisement. Word-of-mouth marketing (WOMM) is an organic way to spread information though natural channels. Route service distributors learn to connect with rather than to collect customers in the same manner as a horticulturist might lovingly nurture a rose bush rather than just buying it and leave it somewhere to wither and die. Word-of-mouth advertising has a snowball effect, and is all about creating powerful brand recognition. No matter what the chosen industry, Air-Scent’s odor-control products are a soft sell. Persuasion is subtle and language is light, as these products sell themselves once customers try them. The soft sell deeply contrasts with “hard selling,” which is known for its application of psychological pressure. In such cases, there is no emphasis on creating a permanent bond with the buyer, as the goal is always a quick sale. Air-Scent distributors, on the other hand, are selling an enduring connection to all their customers and to the brand they represent as well as their odor-control products. Businesses that operate repetitive service routes understand the importance of the interaction between the distributor and the customer. While a product can be easily transported, a service is intangible and cannot be. Therefore, the system must be directly delivered to the user. Matching demand for services with the capacity to supply them is the main function of a route service distributor and the advantages are manifold especially when working with a leading company like Air-Scent. An Air-Scent distributorship represents an important shift in employment protocol. Instead of having a boss who hovers overhead, Air-Scent alters company stance, and is there both as teacher and guide through the rough spots. Low start-up costs, no special licensing requirements and the promise of hard work being returned by high profit margins are just a few of the reasons for any motivated entrepreneur to consider an Air-Scent distributorship. For a few more reasons, click to this page. Vending companies, delivery services, pest control, coffee and water services, janitorial, restroom hygiene, maid services and a number of other possibilities are viable opportunities awaiting the next clear-thinking entrepreneur. Could that be you? If so, explore this opportunity further or speak directly with an Air-Scent representative and get started today!